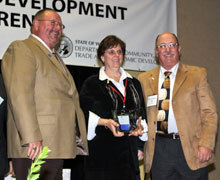 Washington State Centers of Excellence Earn Exemplary Leadership Award, April 24, 2015, Washington State Board for Community and Technical Colleges (SBCTC). 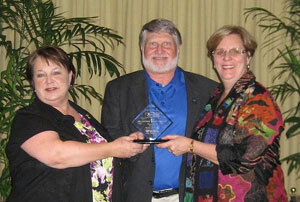 The directors of Washington State’s Centers of Excellence were awarded the Idahlynn Karre Exemplary Leadership award at the Chair Academy’s April International Leadership conference. The award is given to post-secondary education leaders or leadership teams that have enhanced educational opportunities on their campuses. Core Plus Skills Center Meeting, January 2015. James Ratzenberger, “Cliff” from Cheers, delivers keynote. 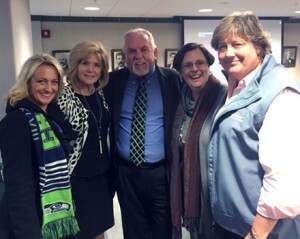 James Ratzenberger, “Cliff” from Cheers, keynote speaker, with COE Directors (left to right): Shana Peschek, Mary Kaye Bredeson, Barbara Hins-Turner, and Ann Avary. Careers In Energy Week, led by the Center of Excellence for Clean Energy and WSLC, breaks nationwide records for most events and largest outreach. 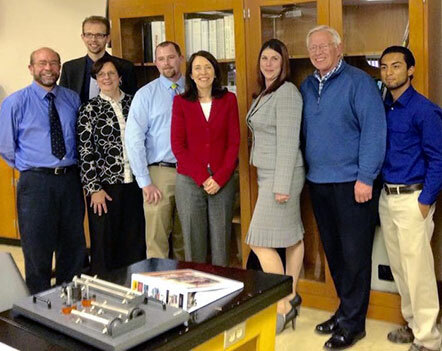 Careers in Energy Week celebrated by statewide events October 15-19, 2012. Events coordinated by the Pacific Northwest Center of Excellence for Clean Energy. See Careers in Energy Week 2012 Events. Governor proclaims Oct. 17-22 Careers in Energy Week, October 7, 2011. Events coordinated by the Pacific Northwest Center of Excellence for Clean Energy.